I am in the final few weeks of registration for my May, 2014 Tuscan Workshop. 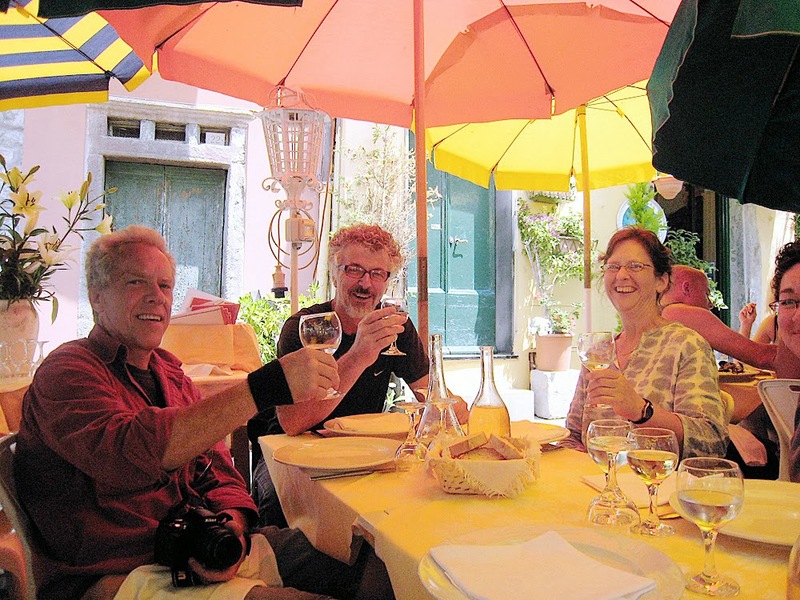 Come Paint Tuscany, al Fresco! 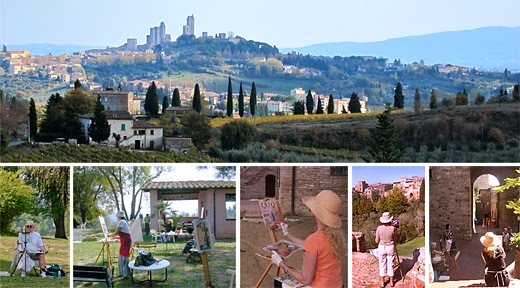 This May, 2014, come paint en plein air in the sun-drenched countryside of Tuscany. Take your artistic skills to the next level with an experienced instructor and stay in a comfortable four-star farmhouse above the ancient hilltop town of Certaldo while you do so. Six hours of demos, individual instruction, private painting time, and critiques each day. Your morning starts off with coffee and a freshly baked Italian breakfast served out in the gardens. Then you paint with respectful instruction before and after lunch. In the early evening you join us for a fascinating trip to a local winery, a historic farm, or a nearby town where you may continue to paint or leisurely explore the area. And afterwards you return to the Fattoria to the pleasures of dining family-style on the veranda and watch the sun set over the beautiful countryside below. Sounds perfect, right? Wait, it gets better. Each night you'll sleep in a comfortable bed and wake up the next morning completely refreshed to do it all over again! And your week will culminate in a private tour through the Uffizi Museum to take in masterworks by Botticelli, Leonardo Da Vinci, Michelangelo, and many other Renaissance artists – before you spend the rest of the day painting in the streets of Florence. Fantastic! You won't need a car for this trip. If you fly into Pisa or Florence, or train into Certaldo we will come pick you up! This workshop is geared for the beginning-to-intermediate plein air painter. Non-painting partners and spouses are welcomed at a reduced rate. So don't wait, register now! "This is a fantastic way to paint the heart and soul of Italy. I promise you'll create memories for a lifetime!"